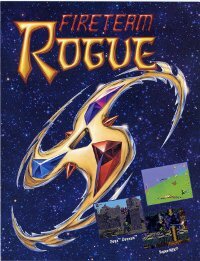 Fireteam Rogue was a promising action-adventure game developed by Accolade, set for release sometime between 1994-1996. Issues with development led to its cancellation. Thanks to Carnivol and Li Wang for the earlier alpha and "www.mywantlist.com" for information on the later alpha. Fireteam Rogue is a unreleased game, but it holds a place in my heart. At one point in time, I considered abandoning this website, and used an article on this game as a sort of swan song for my website. However, after the positive response to the article (Frank Cifaldi at Lost Levels went as far as calling me the "esteemed SNES scholar"), I decided to keep working on it, and produced the layout and database system you see now. Thinking back, this is something of a turning point that led me to truly make this website my hobby, especially when it comes to unreleased and prototype games. One of the most appealing things about this unreleased game is the plethora of concept art, much of it available on the late Betty Cunningham's website. The story of this game is interesting because of the scale of what the developers were trying to accomplish, and the resulting cancellation due to personality conflicts and delays. The project had a lot of problems in development. We spent a lot more time developing ridiculous data compression schemes to fit all the levels into the game, when we should have cut a couple of enemies and a handful of levels in order to get it done. There were also some personality conflicts that culminated with the producer of the project quitting when we were at beta. Shortly after that, the head of product development at Accolade asked us if we thought we should continue the project or not. It was unclear to me how much more work it was going to take to finish it and if the game was going to be good enough to compete in the market by the time we actually got it out, and I advised that we should shut it down. I don't remember what the others said. Both of the game projects (ed note, Fireteam Rogue and the unreleased Genesis game, Cybernauts: The Next Breed) were helmed by John Skeel. I don't know what happened to him after Accolade, but after the 2 million dollar budget for the game was spent, with about 750,000 spent on promotional materials, including a 6 foot tall roll of plastic with a life sized image of the main character computer generated within, and the prototype, that was, in all honesty, not very much fun to play, the game was cancelled, along with a lot of others soon after the new management took over, and we went our separate ways, with me ending up at the 3DO company during the last days of the "Real Player" development days. The media give differing times for the ultimate cancellation. Gamepro, in its April 1995 issue states it was cancelled, coinciding with Warner Music Group buying a share in the company. Nintendo Power kept it in its upcoming releases section until the August 1995 issue. Ultimately, a long development cycle can never be good for a game. There were big plans for Fireteam Rogue beyond the game. During the early to mid 90s, there was a large boom in the comic book business. Accolade intended to capitalize on that. Accolade created a comic book introducing the story of the game (compiled into a single CBZ file here). A fifteen page comic was supposed to be included in the manual for the SNES game as well. In addition to the comic, there were plans for a line of action figure toys, and even a TV show. One of the most interesting pieces of marketing for the game was this computer generated hologram (see above). Apparently the hologram was an innovative piece of technology, being the first computer generated, colourized animated hologram. The hologram was used in the EGM Super Tour in 1994, which happened at 19 locations across the United States. The EGM Super Tour happened mostly at shopping malls and comic conventions. There were several previews of Fireteam Rogue that I was able to find in contemporary magazines. The first preview of the game showed up in the February 1994 issue of Nintendo Power. In the preview they explain the extensive back story, and noted the "limited Genesis colour palette" (though saying the expected the SNES version would have more "flash"). The September 1994 issue of EGM praised the game, citing that it had "serious potential". In the October 1994 issue of Game Players, the writer commented on the large size of the character sprites and levels, saying it was "one to keep an eye on". Nintendo Power was less kind, stating in the April 1995 issue: "Accolade's Fireteam Rogue suffers from jerky animation and low-end, Genesis graphics". 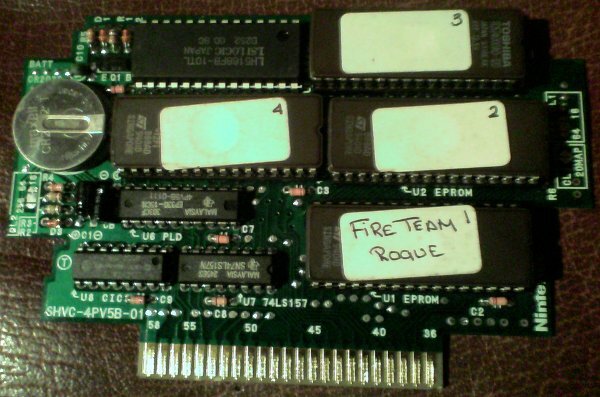 The first prototype of Fireteam Rogue was acquired by DreamTR in October 2005. He sent me a bunch of images of the game in action. Later, as he had two copies of the prototype, he ended up selling one to Carnivol and Li Wang. The ROM image was given to me and released on SNES Central on December 18, 2006. This prototype is in a deep alpha state. 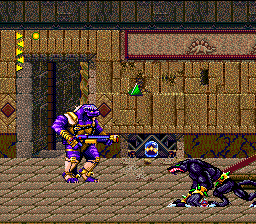 The only level that really shows any semblance of completeness is the Shadowblade level (the mammal with swords). The sound effects are pretty minimalistic, though the music is in place (to play it, you have to go to the start menu and select "music only" to get the it working). The game isn't very forgiving at this point, with no extra lives or continues. The animation is a bit jerky, and the controls are merely adequate. I think the biggest problem is that the characters do not respond in any way when hit, nor do the enemies. In most games, you are either given a brief period of invincibility or knocked back. Pressing A and B at the same time allows your character to do an acrobatic leap. 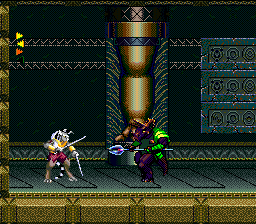 The graphics are pretty bland, with limited palette (these graphics were designed to work on the Genesis). 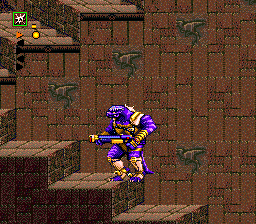 The Shadowblade level shows off the ambitious level design intended for this game. I actually played this level until I got to a point where I could do nothing else, and found the level is actually very large and full of secrets and items. 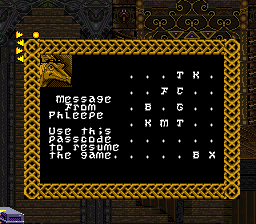 The problem I ran into was that there were not enough keys, and I eventually could not progress. Once I got a hang of the controls and enemy patterns, the gameplay actually doesn't seem too bad. As it is in alpha, I guess I shouldn't expect much in terms of goals, but I guess that was the main thing lacking here. The other levels aren't so complete. The level for Chance (the blue character) has almost no features, save this flowing green liquid that makes staying on platforms hard. No matter how much I tried, I was unable to reach the platforms on the right part of the level to advance. The tiles for the platforms don't really meld together well. The level with Brock (the dinosaur character) has a few enemies, but you cannot enter any doors, so there isn't much you can do. The Aja Dae level appears to be more complete than the other two, but it is also the glitchiest. The music only lasts a brief moment if you turn it on, and I met a few spots where I got stuck, or had the character in an inescapable wall. Overall, I think it is safe to say that this prototype is an alpha version of the game. By looking at a video from the Summer 1994 CES, I would say that this version probably dates to around that time (mainly due to the static background of the intro screen). It is incomplete and glitchy. This later prototype or Fireteam Rogue was acquired by me in June 2010. The seller worked at a company called IMN Control, which produced among other things a one handed NES controller. IMN Control was looking into publishing games to package with their controllers, and I guess by April 1995 (the letter that came with the prototype was dated April 6, 1995), Accolade was hoping to get another company to publish the game. The seller said that he did not feel the game would be complete in a reasonable amount of time to bother investing. The later alpha shows a more advanced state of completion, but I would still say it is an alpha. The gameplay is identical to the earlier alpha. 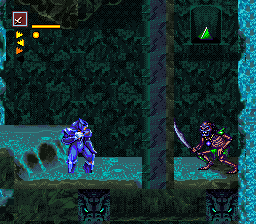 The Shadowblade level only has minor changes compared to the early alpha. The other three levels show different states of completion but still unfinished. I mapped out this looping part of the Aja Dae level, and got stuck because this falling platform was situated slightly too high to jump over a gap. 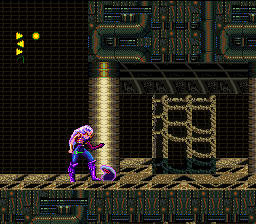 The music for the Aja Dae stage, which was incomplete in the earlier alpha, is now implemented in full. Plus, the music actually plays without manipulating the sound settings. 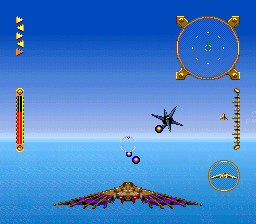 There are also introductory scenes for each level, showing the character flying into the level. 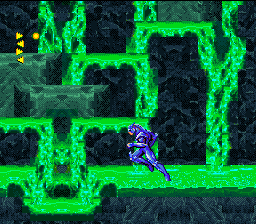 The Aja Dae and Chance stages have different level graphics than the earlier alpha. 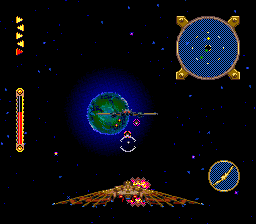 The primary addition to the later alpha are the mode 7 shooter stages. To enter a flying stage, you must go to the craft and jump by the cockpit. The stages actually work fairly well, and allow you to target enemies with relative precision. I passed the stages (eventually, a gateway opens to return you to the main stage), but it doesn't appear to have any defined goal or benefit. On the whole, the shooter stage is implemented well, considering that there is no DSP-1 chip to supplement the mode 7 effects. This build also saw the addition of a password feature. I tested it out, and it does work. 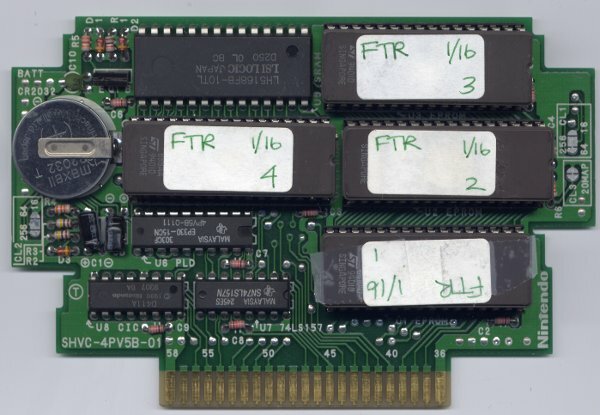 The passwords look long and unwieldy, but they did make it fairly simple to input codes by using the XYAB buttons to select the entry position in the password, and the D-Pad to select the letter for the code. Fireteam Rogue is definitely a game that had promise. It had an intriguing plot, excellent character artwork and a promising gameplay system. The Shadowblade level in particular shows the scope of what the levels may have entailed. The shooter levels play quite well and compare favourably with many similarly styled shooters for the SNES. That being said, the two alpha ROM images available show a game that is not close to completion. Though I was told development may have extended all the way to 1996, the evidence seems to indicate that it was leading towards demise in early 1995. In particular, the statement in Gamepro in April 1995 and the fact that they were trying to find another company to publish the game show that its fate was decided by then. If the later alpha that I have is what was shown at the 1995 Winter CES (which I assume, considering the date on the prototype, and the included CES-style advertisement sheet), it would have had an underwhelming response. 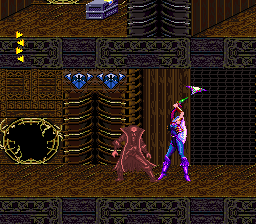 For instance, despite the impressive size and animation frames of the character sprites, the animation was not smooth, and led to unresponsive controls. The level designs are poor, and lack the key items to proceed through the stages. The graphics themselves don't look bad, though they have a limited palette. The promised linking of the levels into a single story was not finished in the game. The screenshots from the February 1995 issue of Gamepro show scenes that are not in the alphas, but they could very well be mockups. Why show a buggy, older build of the game to a potential publisher or at CES if a more advanced version exists? The lesson of Fireteam Rogue is that focusing on hype and story before the creation of solid level design and gameplay can sink a game. The back-story of Fireteam Rogue rivals most contemporary RPGs, and the initial gameplay ideas could have rivalled Super Metroid. Instead, a development cycle mired by poor management and delays made this just another footnote in the history of the 16-bit era. Download the early alpha ROM image. Download the later alpha ROM image.